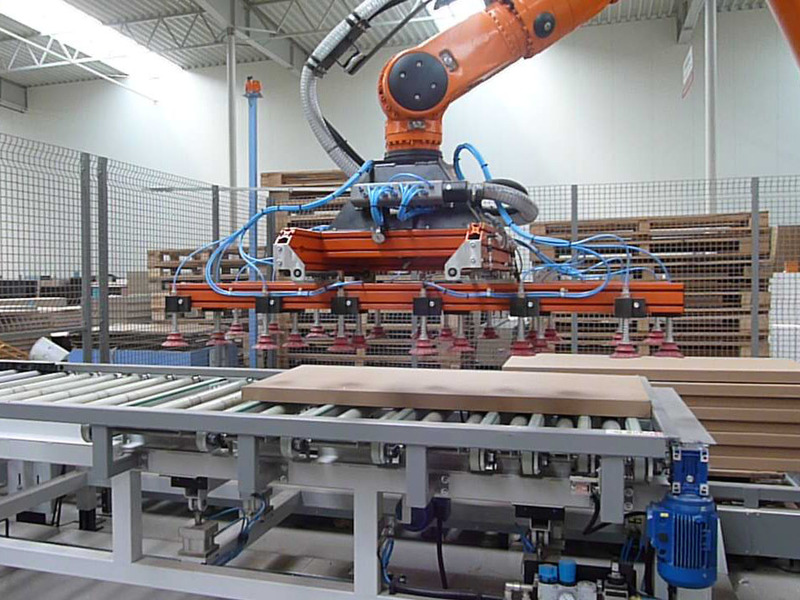 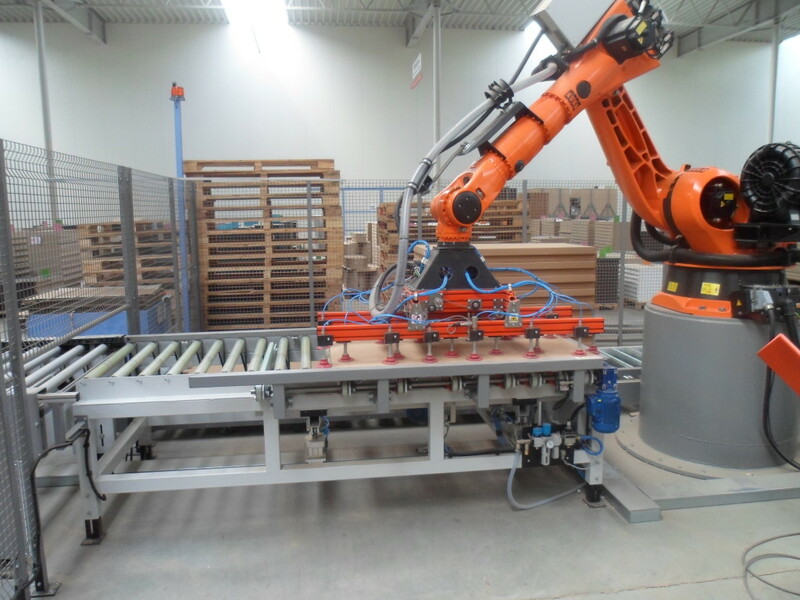 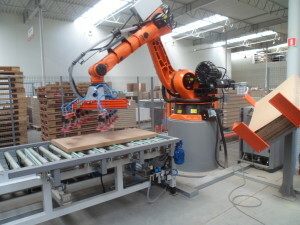 On the packaging line for furniture components we have built a robotized palletising station. 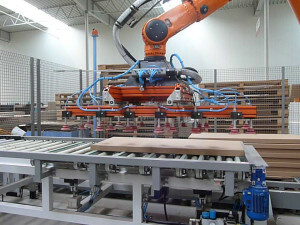 The Kuka KR C2 robot robot was assembled with the automatic vacuum gripper, which, after entering the required width of the cards on the HMI panel, is adjusted to the appropriate dimensions. Roller-based (high) conveyors are mounted at the station, whereby packages are received from existing machines, and conveyors (low) to transport pallets under cartons. 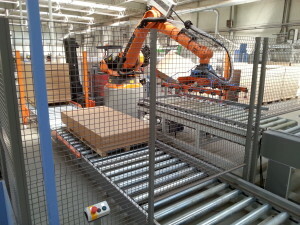 In addition, we equipped the station with a pneumatic labeler of our production. The station is fully automatic, secured by a fence combined with lightning barriers.